ABSTRACT: Oceans and its ecosystem comprise an untapped source for many potential drugs. Marine sponges which inhabit mainly in the saline ocean water are considered as one of the oldest form of life. Due to intense concentration of various sponge species and other organisms co- existing in limited extent marine habitats, necessarily makes them highly competitive and complex. Hence most of the sponge species has evolved chemical means to defend against predation. Such chemical adaptations regarded as ‘secondary metabolites’ possess broad-spectrum of biological activity including anti-cancerous agents. In a clinical perspective, cancer still remains as a serious and fatal disease. The various sponge derived bioactive compounds such as alkaloids, diketopiperazine, terpenes, trichoverroids, terpenoids, glycolipids, quinones, prodigiosin derivative, fatty acids and peptides plays remarkable role anti- cancerous activity. Most excitingly some of those compounds are under clinical trial. This review highlights the anti- cancerous activity of marine sponges with special emphasis on various chemical categories, pharmacological products derived from marine sponges and its symbionts as well as the various sponge derived lead compounds and its synthetic analogues currently undergoing clinical evaluation as anti- cancer drugs. INTRODUCTION: Lifestyle and longevity of human life increases largely the global burden of cancer and hence it continues to be the leading cause of death in economically developed countries and ranks second cause of death in developing countries. The worldwide estimate shows about 12.7 million cancer cases and 7.6 million cancer deaths are estimated to have occurred in 2008 global wise, with 56% of the cases and 64% of the deaths in the economically developing world 1. In this scenario, for many years researches were essentially focussed on plant species and terrestrial sources as a natural cure to this deadly disease mainly because of its proved beneficial effects by age old folk traditions and moreover due to easy availability of specimens. However, in considering the rich biodiversity of oceans, several studies in exploiting the organisms of the “silent world” results in identification of approximately 22,000 natural products 2. The biological diversity of marine sponges has been explored extensively for its natural products. Marine sponges, the sessile invertebrates constitutes more than 15, 000 species. It inhabit wide variety of marine and fresh water ecosystem’s and are found throughout tropical, temperate and polar regions. These ancestral metazoans continue to have an economic potential beyond their fundamental roles in the marine ecological processes 3. These simple invertebrates with its delicate and soft bodied nature wonder researches regarding its protection from pathogens, predators and other creatures of ocean. This curiosity results vast studies and subsequently the discovery of its chemical weapons or secondary metabolites. Due to its sedentary life style, they have evolved the ability to synthesize toxic compounds or to obtain them from marine microorganisms. These secondary metabolites facilitate them to deter predators, keep competitors at bay or to paralyse their prey. Interestingly it was considered that the source of most of the bioactive compounds is from the sponge associated symbiotic microorganisms. The various symbiotic microorganisms include bacteria, archaea, cyanobacteria, and microalgae. Symbiotic bacteria sometimes occupying 40- 60% of total sponge biomassincludes unicellular cyanobacteria, unicellular bacteria and filamentous bacteria 4. It is reported that sponge hosted diverse microorganisms are metabolically very active in their respective host and it was demonstrated by comparing 16S rRNA gene derived sequence 5. Rare biosphere of sponge microbes of exceptional biodiversity could be identified the adcanced sequencing technologies such as Next generation sequencing 6. The main function of these bioactive compounds include anti- bacterial, anti- fungal, cytotoxic, anti-inflammatory, immunosuppressive, neuro- suppressive, anti- fouling activities, anti- oxidant, anti-infective agents and anti-cancer. In this review, the anti- cancerous property of marine sponges and the various sponge derived compounds under clinical trial are described. Bioactive compounds as Anti- cancerous Agents: Nature has bestowed with several anti- cancer agents and several of them are significantly improved the management of many types of human cancers. Marine sponge derived compounds are extremely potent in culture and moreover only nanograms of those compounds shows potent inhibitory concentrations. Actin cytoskeleton which plays remarkable role in cancer by promoting cancer cell migration and hence along with microtubules and microfilaments, actin remains as a potential target for anti- cancerous drug development 7. (iii)Inhibitors of cancer cells of specific types of cancer. f the interesting non-specific inhibitors for cancer therapy is the nitric oxide synthetase inhibitors because they may prevent events in the early phases of tumorigenesis. Role of nitric oxide in tumerogenesis is by mediating DNA damage and supports tumour progression through angiogenesis. However, inhibiting nitric oxide synthetase by inhibitors such as imidazole alkaloid Na amine D could also affect other physiological processes such as intracellular or transcellular messaging, regulation of the immunogenic response by T lymphocytes where nitric oxide is normally involved. Most of the currently used cancer drugs are antiproliferative, but they have no specific inhibitory effect on invasiveness, the loss of differentiation or the tendency to metastasize 8. In case of specific inhibitors, Haliclona sp. derived Salicylihamide A shown to be a selective inhibitor of v-ATPase and has been shown to be 60-fold more cytotoxic to certain cancer cells than to their normal noncancerous counterparts 9. 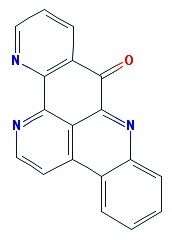 6-hydroximino-4-en-3-one steroids from Cinachyrella sp. are examples of molecules that can be deployed against a specific type of cancer 10. This steroid shows higher affinity to aromatase, which catalyses the conversion of androgens to estrogens. Hormone-sensitive breast cancer that is dependent on estrogen could be treated by blocking this step. Protein Kinase C (PKC) enzymes when in higher levels are found to be involved in tumour. They are believed to be the receptor protein of tumor-promoting phorbol esters. A number of sponge derived compounds acts as inhibitors of PKC and it prevent binding of carcinosarcoma cells to the endothelium. Apart from the above, several sponge derived compounds acts as stabilization of microtubules (Discodermolide, Laulimalide, Peloruside A and Hemiasterlin), Tubulin polymerisation inhibitor (Spongistatin 1, Halichondrin B, Arenastatin A), Actin-depolymerisation (Latrunculin A, Swinholide A and Mycalolide B), Topoisomerase II inhibitor (Elenic acid, Jaspamide, Neoamphimedine), Ca2+/channel blocker (Crambescidins 1- 4) and cell growth, differentiation and apoptosis (2′,5′-oligoadenylate synthetases) 11. Table 1 briefs the pharmacologically important compounds from sponge microbial symbiosis which can act as anti- cancerous or anti- tumour agents. The compounds exhibiting anti- cancerous effects fall in to the categories such as alkaloids, diketopiperazine, terpenes, trichoverroids, terpenoids, glycolipids, quinones, prodigiosin derivative, fatty acids and peptides. Spongia sp. Fungus(Myrothecium verrucaria 973023) 3-hydroxyroridin E, Trichoverrin A, Trichoverrin B, Verrucarin A, Verrucarin M, Isororidin A, Epiroridin E, Roridin A, Roridin L, Roridin M, 13'-acetyl-trichoverrin B.
Axinella verrucosa Fungus (Penicillium sp.) Oxaline, Griseofulvin, Communesin- B, C, D.
Alkaloids: Pyridoacridines are the largest class among marine alkaloids and are almost universally isolated from sponges and other marine organisms. This compound shows remarkable biological activity including cytotoxicity, fungicidal, bactericidal properties, intercalation of DNA and most significantly it shows cytotoxicity against different types of tumours. Pyridoacridines vary in structure by attachment of different side chains or fusion of different rings to the basic structure. Pyridoacridines can be divided into tetracyclic, pentacyclic, hexacyclic, heptacyclic and octacyclic alkaloids. Deoxyamphimedine, a pentacyclic alkaloid isolated from tropical Xestospongia sponges reveals damages DNA independent of topoisomerase enzymes through the generation of reactive oxygen species 12. However there remains other marine sponge alkaloids which proves as one of the lead compounds in drug discovery. Bromopyrrole alkaloids can be extracted from marine sponges of the genera Agelas 13, Axinella and Hymeniacidon. The alkaloid manzamine A isolated from a variety of marine sponges, exhibited cytotoxic effects against cancer cells with an IC50 in the range of 1–6 μM after 72 h. Dictyodendrins A-E , were isolated from the Japanese marine sponge Dictyodendrilla verongiformis as telomerase inhibitors 14 . It was reported that, Indonesian marine sponge Leucetta chagosensis produces imidazole alkaloids, naamidines H and I. These compounds show cytotoxicity against HeLa cells with IC50 values of 5.6 and 15 microg/mL respectively 15. Glycolipids: Halicylindrosides A1–A4 and B1–B6, ten new glycosphingolipids have been isolated from the Halichondria cylindrata, a Japanese marine sponge and are found cytotoxic against P388 murine leukemia cells. A novel glycosphingolipid isolated from marine sponge Aplysinella rhax shows a unique structure and possess potent inhibitory effects 16. In another study, from an extract of the marine sponge Agelas mauritianus, Glycosphingolipids called agelasphins have been isolated and it proves as antitumor compounds. KRN7000 55, (2S, 3S, 4R)-1-O-(alpha-D-galactopyranosyl)- 2-(N-hexacosanoylamino)-1,3,4-octadecanetriol, markedly stimulated lymphocytic proliferation in allogeneic MLR and showed potent tumor growth inhibitory activities in B16-bearing mice and strongly inhibited tumor metastasis 17. Myrmekioderma sponges contain a glycolipid called Myrmekiosides, a new family of glycolipids with a unique structure of mono-O-alkyl-diglycosylglycerols. 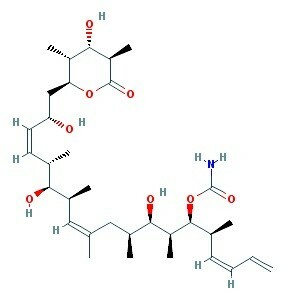 These compounds inhibit proliferation of NSCLC-N6 and A549, which are human non-small cell lung cancer cell lines 18. Quinone: Sponges of the order Dictyoceratida produces sesquiterpene quinones and hydroquinones such as avarol, avarone, illimaquinone, nakijiquinone and bolinaquinone, many of these compounds possess cytotoxic and antiproliferative properties and hence are promising cytotoxic and antiproliferative agents. A potent topoisomerase II inhibitor, Popolohuanone E, with selective cytotoxicity against the A549 non-small cell human lung cancer cell line, was isolated from Dysidea sp. Pohnpei sponges 19. Sesquiterpene quinone has been reported to exhibit anti- microbial, anti- HIV, anti- malarial and cytotoxic activities. A study by Aoki et al., 20 shows 5-epi-smenospongorine isolated from the marine sponge Dactylospongia elegans plays an important role for their differentiation inducing activity to K562 cells into erythroblast. These sesquiterpene aminoquinones having differentiation-inducing activities might be a promising agent for the treatment of Chronic Myeloid Leukemia. Fatty acids: Considering the characteristic living environment marine sponges produce a variety of lipids. An essential part of triglycerides and wax esters constitute fatty acids. Glycolipids present in marine sponges are of considerable importance because of their promising biological activity 21. In case of marine sponges a great number of fatty acids such as saturated, mono- and di- unsaturated, branched, halogenated, hydroxylated, methoxylated, non- methylene-interrupted and PUFA (Polyunsaturated Fatty acids) are present. Manadic acids A and B, 3,6-epidioxy fatty acids, were isolated form the sponge Plakortis sp., collected in Indonesia and these compounds shows moderate activity against various anti- tumour cell lines. Acetylenic fatty acids were isolated from the marine sponge Stelletta sp. by bioactivity-guided fractionation and the cytotoxic studies of these compounds against five human tumor cell lines shows marginal to moderate cytotoxicity 22. Terpenoids: Steroidal terpenoids were the first marine isoprenes discovered. Jaspolide B showed efficacy comparable to that of paclitaxel and seems to be a promising anticancer agent for the treatment of leukemia due to its ability to block the cell cycle during transition from the G2 phase to mitosis and trigger apoptosis. Examples of bicyclic sesterterpenes are thorectandrols isolated from sponge (Thorectandra sp.) together with the parent compounds palauolide and palauolol. All these substances inhibited the growth of MALME-3M (melanoma) and MCF-7 (breast) cancer cell lines in the range 30-40 mg/mL. Many of the bioactive compounds forms terpenes have cytotoxicity against L-1210 cells (IC50 between 2.8 and 8.1 g/mL) and KB cells (IC50 between 1.2 and 7.6 g/mL) 23. Prodigiosin derivative: Prodigiosins, a family of natural red pigments characterized by a common pyrrolylpyrromethene skeleton produced by marine sponges and its symbiotic microorganisms shows remarkable anti- tumour effect. Bioassay-guided fractionation of CHCl3 extract from the fermentation broth of a sponge Mycale plumose-derived actinomycete Saccharopolyspora sp. nov., led to the isolation of two known prodigiosin analogs- metacycloprodigiosin and undecylprodigiosin. These compounds exhibited significant cytotoxic activities against five cancer cell lines: P388, HL60, A-549, BEL-7402, and SPCA4 24. Prodigiosin- like pigments (PLPs) compounds isolated from endophytic marine Actinomycetes recovered from the Egyptian marine sponge Latrunculia corticata exhibited significant cytotoxic activities against three human cancer cell lines: colon cancer cell line (HCT-116), liver cancer cell line (HEPG-2) and breast cancer cell line (MCF-7) 25. Other compounds: Several other anti- cancerous compounds apart from the above mentioned categories includes steroid, diketopiperazine, terpenes, trichoverroids and peptides. Myrothecium verrucaria derived trichoverroid compounds such as 3-hydroxyroridin E, 13’ acetyltrichoverrin B and miophytocen C shows significant cytotoxicity against murine and human tumor cell lines 26. Aragusterol C, novel chlorinated steroid, was isolated from an Okinawan marine sponge of the genus Xestospongia. The compound strongly inhibited the proliferation of KB cells in vitro, and also showed potent in vivo antitumor activity against L1210 cells in mice 27. The sponge species Axinyssa sp. producesaxinysterol which inhibits the growth of several human cancer cell lines. The short review data presented here clearly indicates the great value of marine sponges and its derived compounds including its synthetic analogues as significant pharmacological candidates for drug discovery. Trabectedin became the first marine anticancer drug to be approved in the European Union. E7389, a drug under phase II clinical trial is about to check its efficiency for variety of tumors including ovarian, prostrate, bladder, pancreases, head and neck cancers 28. Table - 2 shows the marine sponge derived compounds under clinical trials. CONCLUSION: Marine ecosystem is a rich source of bioactive compounds many of which could not be found in terrestrial sources. The main obstacle in using marine sponge compounds for therapy is the low availability of such organisms and moreover, only very small amount of these bioactive substances can be isolated from these reservoirs. Marine sponges attain remarkable attention due to its ability to produce pharmacologically active lead compounds. A well-known fact is that the symbiotic microorganism associated with sponge species are promising source of ubiquitous secondary metabolites of commercial value. Understanding the optimum ecological conditions which drives the sustainable production of bioactive compounds from sponges and their microbial associates would help in formulating various production strategies. Continuous effort in synthesising new analogues from already existing compounds, the isolation and characterization of their biosynthesis gene clusters will lead to the development of new antitumor compounds with improved therapeutic potentials. ACKNOWLEDGEMENTS: The authors gratefully thank the management of Malankara Catholic College for providing ample opportunity to conduct academic research and also the anonymous reviewer’s for their constructive comments on this article. Blunt JW, Copp BR, Munro MH, Northcote PT, Prinsep MR. Marine natural products. Nat Prod Rep 2011; 28:196–268. Joseph B, Nair VM. Marine Sponge Database (MSD): A Database on Marine Sponges from Kanyakumari District. International Journal of Soft Computing and Bioinformatics 2011; 2(2): 63- 68. Webster NS, Taylor MW. Marine sponges and their microbial symbionts: love and other relationships. Environmental Microbiology 2012; 14: 335–346. Kamke J, Taylor MW, Schmitt S.Activity profiles for marine sponge-associated bacteria obtained by 16S rRNA vs 16S rRNA gene comparisons. ISME J 2010;4: 498–508. Lee OO, Wang Y, Yang J, Lafi FF, Al-Suwailem A, Qian PY.Pyrosequencing reveals highly diverse and species-specific microbial communities in sponges from the Red Sea. ISME J 2011; 5(4):650-664. Miller JH, Singh AJ, Northcote PT. Microtubule-Stabilizing Drugs from Marine Sponges: Focus on Peloruside A and Zampanolide. Mar. Drugs 2010; 8: 1059–1079. Andavan GSB, Lemmens-Gruber R. Cyclodepsipeptides from Marine Sponges: Natural Agents for Drug Research. Mar. Drugs 2010; 8:810-834. Erickson KL, Beutler JA, Cardellina JH II, Boyd MR. Salicylihalamides A and B, novel cytotoxic macrolides from the marine sponge Haliclona sp. J Org Chem 1997; 62: 8188–8192. Rodriguez J, Nunez L, Peixinho S, Jimenez C. Isolation and synthesis of the first natural 6-hydroximino 4-en-3-one-steroids from the sponges Cinachyrella spp. Tetrahedron Lett 1997; 38: 1833–1836. Lopp A, Reintamm T, Kuusksalu A, Tammiste I, Pihlak A, Kelve M. Natural Occurrence of 2′,5′-Linked Heteronucleotides in Marine Sponges. Mar. Drugs 2010: 8(2), 235-254. Marshall KM, Andjelic CD, Tasdemir D, Concepción GP, Ireland CM, Barrows LR. Deoxyamphimedine, a pyridoacridine alkaloid, damages DNA via the production of reactive oxygen species. Mar. Drugs, 2009; 7: 196- 209. Hertiani T, Edrada-Ebel R, Ortlepp S, van Soest RW, de Voogd NJ, Wray V, Hentschel U, Kozytska S, Müller WE, Proksch P.From anti-fouling to biofilm inhibition: new cytotoxic secondary metabolites from two Indonesian Agelas sponges. Bioorg Med Chem 2010; 18(3):1297-311. Warabi K, Matsunaga S, van Soest RW, Fusetani N. Dictyodendrins A–E, the first telomerase- inhibitory marine natural products from the sponge Dictyodendrilla verongiformis. J Org Chem 2003; 68: 2765–70. Tsukamoto S, Kawabata T, Kato H, Ohta T, Rotinsulu H, Mangindaan RE, van Soest RW, Ukai K, Kobayashi H, Namikoshi M. Naamidines H and I, cytotoxic imidazole alkaloids from the Indonesian marine sponge Leucetta chagosensis. J Nat Prod 2007; 70(10):1658-60. Fujita Y, Ohshima N, Hasegawa A, Schweizer F, Takeda T, Kiuchi F, Hada N. Synthesis, inhibitory effects on nitric oxide and structure-activity relationships of a glycosphingolipid from the marine sponge Aplysinella rhax and its analogues. 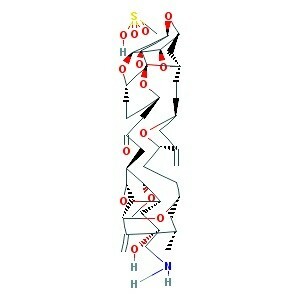 Molecules 2011; 16(1):637-51. Natori T, Akimoto K, Motoki K, Koezuka Y, Higa T. Development of KRN7000, derived from agelasphin produced by Okinawan sponge. Nippon Yakurigaku Zasshi 1997; 110:63P–8P. Farokhi F, Wielgosz-Collin G, Robic A, Debitus C, Malleter M, Roussakis C, Kornprobst JM, Barnathan G. Antiproliferative activity against human non-small cell lung cancer of two O-alkyl-diglycosylglycerols from the marine sponges Myrmekioderma dendyi and Trikentrion laeve. Eur J Med Chem 2012; 49:406-10. Carney JR, Scheuer PJ. Popolohuanone E, a topoisomerase II inhibitor eith selective lung citotoxicity from Pohnpei sponge Dysidea sp. Tetrahedron Lett 1993; 34:3727–3730. Aoki S, Kong D, Matsui K, Rachmat R and Kobayashi M. Sesquiterpene Aminoquinones, from a Marine Sponge, Induce Erythroid Differentiation in Human Chronic Myelogenous Leukemia, K562 Cells. Chem. Pharm. Bull 2004;52(8) 935—937. Berge JP, Barnathan G. Fatty acids from lipids of marine organisms: molecular biodiversity, roles as biomarkers, biologically active compounds, and economical aspects. Adv Biochem Eng Biotechnol, 2005; 96:49-125. Zhao Q, Lee SY, Hong J, Lee CO, Im KS, Sim CJ, Lee DS, Jung JH. New acetylenic acids from the marine sponge Stelletta species. J Nat Prod 2003; 66(3):408-11. Liu R, Cui CB, Duan L, Gu QQ, Zhu WM. Potent in vitro anticancer activity of metacycloprodigiosin and undecylprodigiosin from a sponge-derived actinomycete Saccharopolyspora sp. nov. Arch Pharm Res 2005; 28(12):1341-4. El-Bondkly AM, El-Gendy MM, Bassyouni RH. Overproduction and biological activity of prodigiosin-like pigments from recombinant fusant of endophytic marine Streptomyces species. Antonie Van Leeuwenhoek 2012; 102(4):719-34. Amagata T, Rath C, Rigot JF, Tarlov N, Tenney K, Valeriote FA, Crews P. Structures and Cytotoxic Properties of Trichoverroids and Their Macrolide Analogues Produced by Saltwater Culture of Myrothecium verrucaria. J. Med. Chem 2003; 46, 4342-4350. Shimura H, Iguchi K, Yamada Y, Nakaike S, Yamagishi T, Matsumoto K, Yokoo C. Aragusterol C: A novel halogenated marine steroid from an Okinawan sponge, Xestospongia sp., possessing potent antitumor activity. Experientia 1994; 50(2): 134-136. Sepcic K, Kauferstein S, Mebs D, Turk T.Biological Activities of Aqueous and Organic Extracts from Tropical Marine Sponges. Mar. Drugs 2010; 8: 1550-1566. Joseph B and Nair VM: Saline water as source of Cancer drugs: Anti- cancer Metabolites from Marine Sponges. Int J Pharm Sci Res 2013; 4(5); 1858-1864.